Avoid hair loss! 500Cosmetics Hair Pills regenerates weak follicles, preventing hair loss. 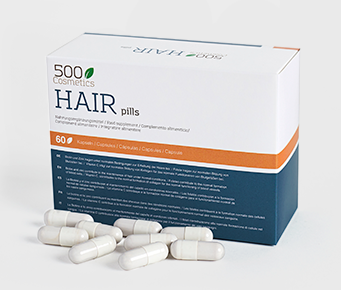 500Cosmetics Hair Pills contains nutrients and vitamins for hair loss, strengthens the hair area preventing its weakening and preventing hair loss, this food supplement regenerates the entire scalp, healing the appearance of hair and giving strength. 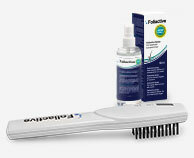 Combine the capsules withFoliactive Spray and the Foliactive Laser comb or improved results. The main reasons for hair loss are stress, bad habits, poor diet and hormonal changes, 500 Cosmetics Hair Pill is an option composed of ingredients based on plants, vitamins and natural minerals that act directly against hair loss , returning a healthy appearance and bringing brightness and strength. This food supplement in the form of capsules has a vasodilator effect that causes greater irrigation of the capillary area that prevents the follicle from dying or weakening, in addition to stimulating its growth, providing vitality to the hair. Dosage: Two tablets should be taken daily. 500 Cosmetics Hair Pill works as a food supplement, it is not recommended to ingest it in quantities greater than the recommended dose as it may be counterproductive. When to take: It is advisable to take the 500Cosmetics Hair Pill in the morning and once in the evening. For best results, combine 500Cosmetics Hair Pills with the Foliactive Spray anti-hair lotion or the Foliactive Laser anti-loss laser comb. Zinc: Helps with hair growth and the cell reproduction processes, protein synthesis and hormone balance, among others. L-Cysteine Promotes hair growth by increasing the diameter of the hair strand. Iron: Iron maintains the root of healthy hair as it promotes blood circulation to the scalp. Vitamin E: Is an antioxidant and protects the scalp from damage caused by free radicals. Vitamin C: Promotes blood circulation in the vessels and helps absorb iron. Is the consumption of capsules against hair loss safe? Does this food supplement have any side effects? 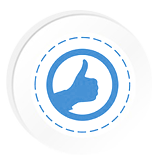 No side effects are known since they are natural food supplements that do not interfere with any other medication. It is only necessary to take into account not being allergic to any of the elements of its composition. In which cases is it not advisable to take capsules? It is not advisable to pregnant women or during lactation or to people with high blood pressure, heart or liver problems, glaucoma, and diabetes or allergic to any of the ingredients. Can it be combined with other methods for hair loss? Yes. For best results, you can combine it with the Foliactive Spray anti-hair loss lotion or Foliactive Laser anti-hair loss laser comb. 1. Have your product multiplied!